Like a lot of great Zelda bosses, the fight with the witches Koume and Kotake is split between two very different but fun sections. Leading you into thinking it would be a very short boss fight with the two as you bounce their fire and ice attacks back at each other, things quickly escalate as they combine and form Twinrova. Using the Mirror Shield to store up energy and release it back at her is a great use of Link’s defensive capabilities as an attack. The sound of the shield further charging up with elemental energy with each successive absorb still makes me tense to this day. To cap it off, the twin sisters bickering as their ghosts slowly ascend after being defeated is a fun end to this gripping fight. 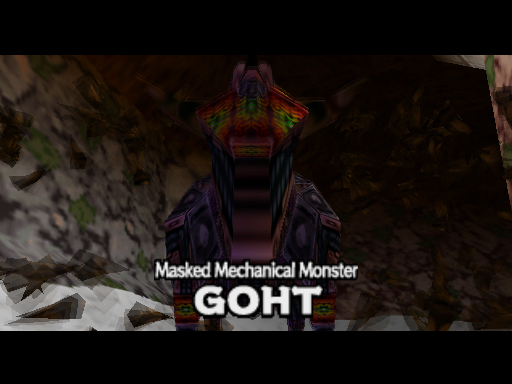 One of the most memorable moments of Majora’s Mask is the fight with the mechanical masked monster of Snowhead Temple, Goht, as thawing it out of its icy prison begins one of the most unique battles in Zelda history. As it speeds up and races around the arena, you’ll be forced to don the Goron mask and roll along the circular track just to keep up with the giant bull creature. Maintaining your stamina by smashing through green jars while avoiding Goht’s attacks is a challenging but exciting task, and launching off of ramps to strike him with your spikey Goron armour is a thrill. Though Skward Sword certainly had its ups and downs as far as Zelda titles go, there’s no doubt it has its share of memorable boss fights. It may be a bit of a technicality on my own rules of no Ganondorf, but the duel with Demise is so well done I couldn’t ignore it. A swordfight with a flame-haired demon in the midst of a lightning storm is perhaps the most anime inspired The Legend of Zelda has ever gotten, and it’s a great climax. Infusing the Master Sword with lightning to combat Demise is a visual treat and the finishing blow left my jaw firmly on the floor. The first boss of the game and still one of the most remarkable, Gohma is both a nice throwback to Ocarina of Time and a stellar introduction to the new perils you’ll face in The Wind Waker. As a child I assumed I’d be squaring off against the dragon at the very peak of Dragon Roost Island, only to be caught by surprise from this massive insectoid leaping out of the volcano’s core at me instead. Swinging over the towering Gohma with the grappling hook secured around the dragon’s dangling tail is always a spectacle as the lights dance around the cavern, and having Valoo still play a part in the fight is interesting. Seeing each successive blow leave cracks in his armour is just as satisfying as finally slashing at his piercing green eye to end the battle. 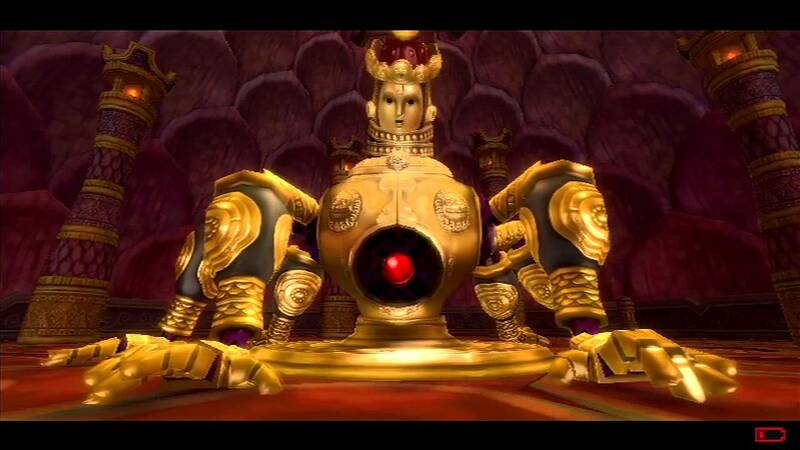 A great advocate for Skyward Sword’s motion controls, this six armed automaton made exciting use of one of the game’s most interesting items, the whip. Intimidating as it is creepy, Koloktos made for a menacing enemy, as you whipped apart its limbs only to have them reattach and attack you again. The battle got even more exhilarating when it revealed it was able to walk, bringing down the room’s pillars with its massive sword strikes. Using its own huge sword to cut apart its limbs and weak spot gives an amazing feeling of true retaliation against this colossus. 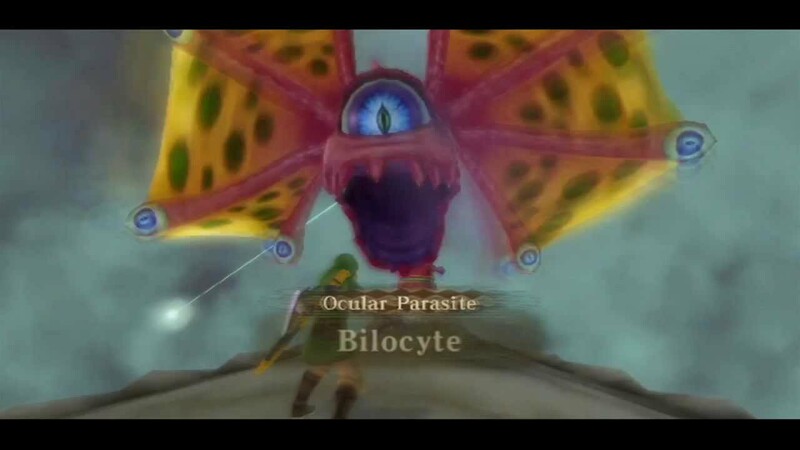 Reminiscent of a Shadow of the Colossus style boss fight, the fight with Bilocyte is a battle of epic proportions. Engaging with this behemoth through the air on your loftwing made me wish there were more aerial style battles since this was such a blast. Climbing up on Levias’ back to have a one-on-one tennis match with the parasite was just as fun, calling back to the familiar Zelda boss battle trope. Bilocyte made perfect use of the wide expanse of the sky above the clouds and the flying mechanics for a grand, picturesque fight. 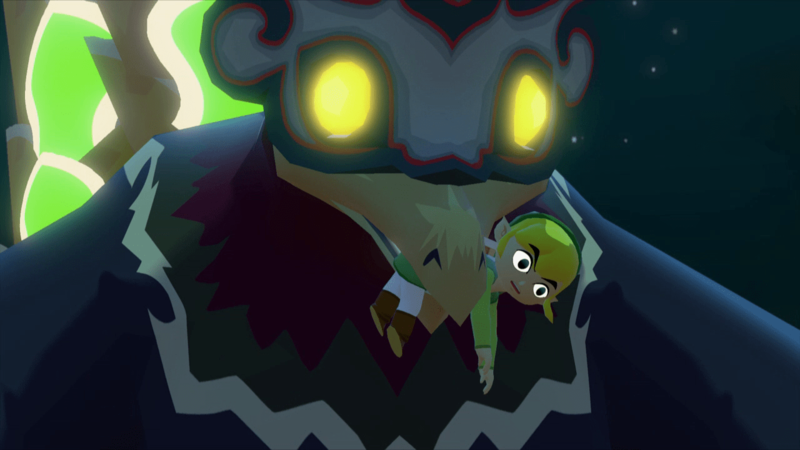 The fight with Ganon’s kidnapping monstrous sidekick was long overdue by the time it arrived, and absolutely worth the wait. The Helmaroc King was an opponent always at the forefront of The Wind Waker, jumpstarting Link’s adventure snatching away his sister, and his battle had the weight of a final boss. From escaping the rising water and avoiding his pecking attacks up the spiral staircase, to shattering his mask to reveal his red malicious eyes, culminating in an explosion of feathers above the Forsaken Fortress spotlights… it’s one of the most memorable moments from the game by far. It almost even made up for having to stealthily sneak around to the top of the base, only to be thrown out again into the ocean earlier in the game. Almost. The boss at the heart of Death Mountain had a lot to live up to as the infamous Goron devouring lava dragon, and it thankfully did not disappoint. Erupting from the ground before taking off flying around the room spewing fire, Volvagia is a threatening sight. As the only previous dragons in Legend of Zelda had been from the NES days, a battle against a massive fire breathing lizard in the pit of a volcano was an enormous step up. 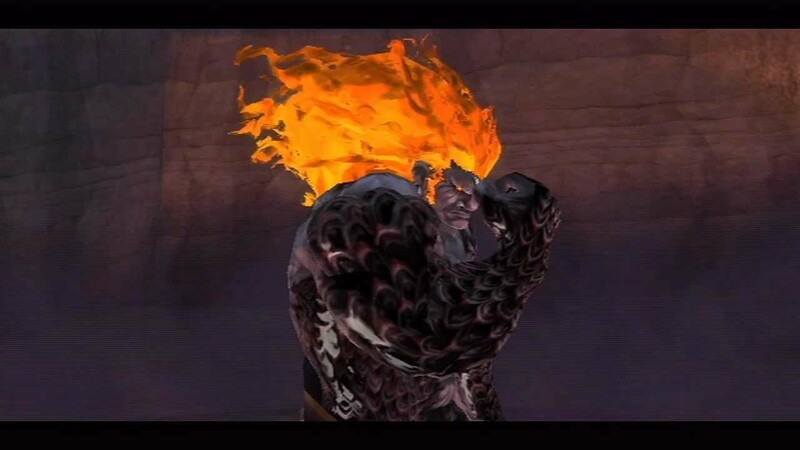 Pummeling Volvagia with the mighty Megaton Hammer felt like something out of a Greek epic, and reducing the beast to bones, freeing the loveable Goron’s from his torment, will always be a triumphant moment. Okay, so I have a thing for dragons I guess. Climbing atop the City in the Sky, only to even further climb up the towers at the peak to combat with the deadly Twilit Dragon Argorok made for a spectacular boss battle. Breaking his armour only makes the fight more intense, as the thunderstorm starts to pick up and you’re forced to climb Argorok’s back impossibly high in the sky, repeatedly stabbing him as he plummets towards the ground. Not to mention the Double Clawshots give Link an awesome Spider-Man feel, zipping around the towers and Peahats to get a vantage point at the dragon’s weak point. The boss of Arbiter’s Grounds, Twilit Fossil Stallord still holds up as the best of this list between its two amazing sections. First using the Beyblade –like Spinner to circle the room of undead monsters to break apart its spine, then ascending and encircling the tower as his decapitated head attacked you makes this definitely the most unforgettable fight. It’s just so… metal! This boss fight was so rad and fun, it apparently drained all the developer’s ideas for the Spinner as it was rarely (if ever) used again after. But it was worth it for this insane fight against the undead ancient beast. But this is all entirely subjective and most of it is definitely based on nostalgia. We’ll all have our own lists, so let me know what bosses resonated with you the most too!